Benjamin Krause, JD has posted some interesting data he received using a FOIA request. Topic: information about utilization of the VA Vocational Rehabilitation & Employment (VocRehab) self-employment program across ROs. 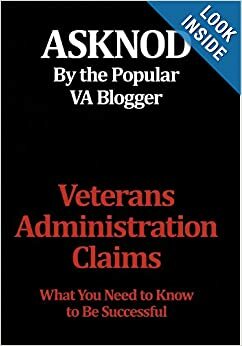 There are 9-pages in all and he highlights the best and the worst RO’s who are supposed to be administering this program. Read Ben’s post here: Boise Idaho Tied For Last In Veteran Self-Employment Services (Link). It’s obvious that some disabled veterans cannot obtain gainful employment and that self-employment is the best way, or only way, to support themselves and their families. But like the ILP that Alex has written about in detail, staffs tasked to help vets start businesses–at many ROs–just don’t do their jobs. Kudos to those that do.